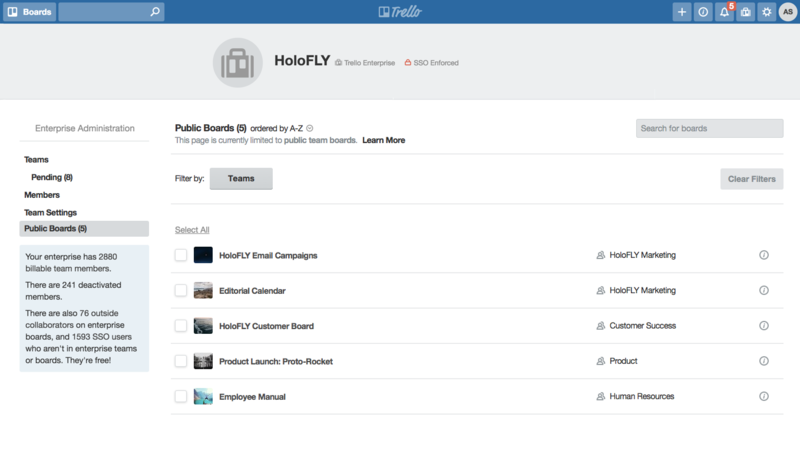 The Public Boards page on the Enterprise Dashboard allows you to view and change visibility of all public boards that are within enterprise teams. This means that currently, any public boards within your enterprise that are in personal spaces will not appear on this page. Select the boards you want to change the visibility of. From the fly-out menu, click Team Visible.